WAWA – NEWS – There are many frauds and scams out there trying to pry you away from your hard-earned money. 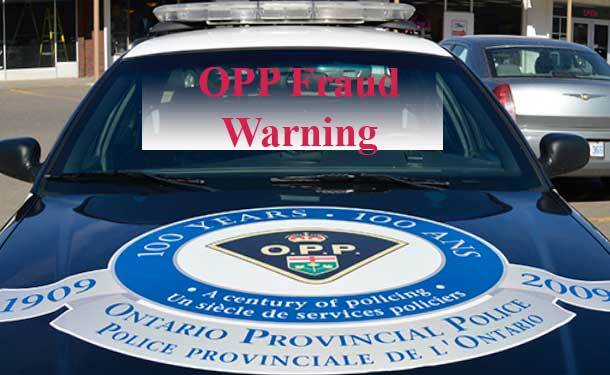 The Superior East OPP are seeking to remind the public to be aware and alert and prevent yourself from becoming a victim of these scams and frauds. While the efforts are a daily one, it is Crime Prevention week and the Ontario Provincial Police (OPP) want you to do your homework prior to giving any personal information or money to anyone. Perhaps the best advice is to remember that checking out facts and sharing this information – especially with parents and grandparents is really a solid step to halting fraud in its tracks.